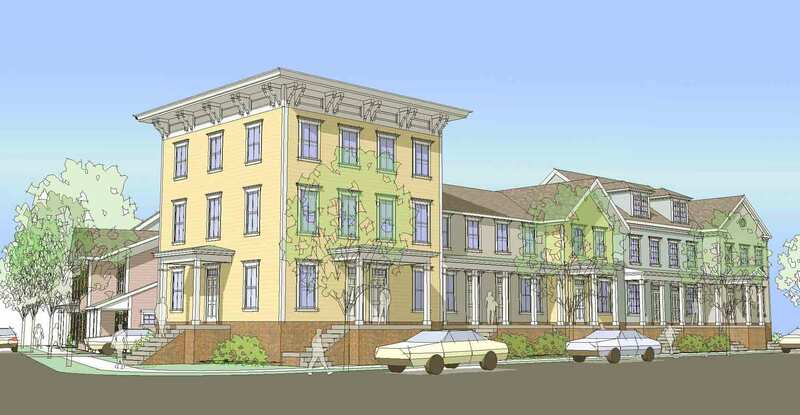 Kenneth Boroson Architects was retained by The Michaels Development Company, to assist in creating a feasibility study to implement the Housing and Neighborhood components of the Washington Village – South Norwalk Choice Neighborhood Transformation Plan. The neighborhood transformation is catalyzed by the revitalized node at the intersection of Day and Raymond Streets, developing at least three of the corners. 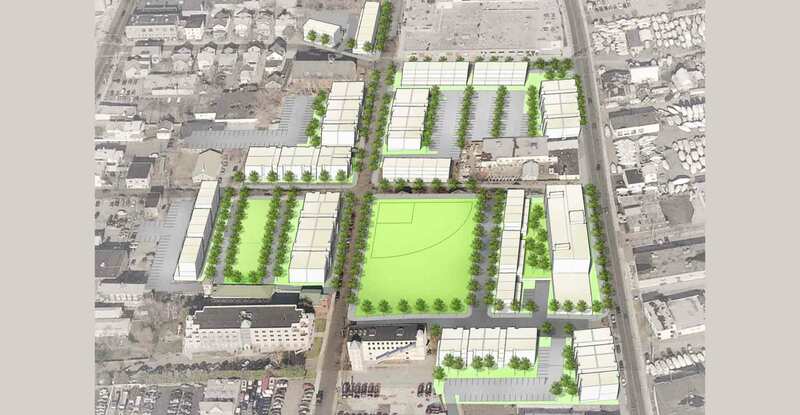 Redevelopment is proposed on both publicly and privately owned land. Ryan Park plays a big role in anchoring the neighborhood. The Washington Village neighborhood is buffeted by larger planning forces – TOD development pressures from the west; Washington and S. Main Street shopping district activities from the north; and future waterfront development pressures from the east. The concepts were designed to carefully balance these larger planning issues with the need to create a distinct, vibrant and identifiable neighborhood centered on a redeveloped Washington Village. An example of the potential stylistic character for portions of the development is indicated for City Lot A. This concept is based on utilizing a variety of styles for the exteriors of the residential units based on types found in Norwalk as a whole. 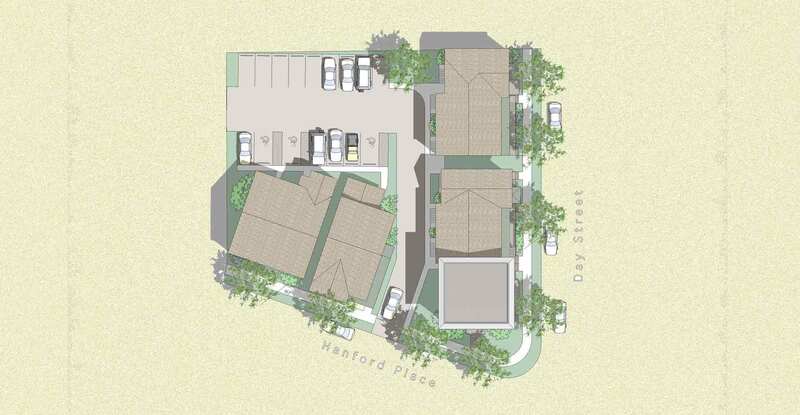 The purpose is to utilize architectural features that allow the development to blend with the larger community. The inclusion of porches or stoops at the fronts of units as well as ample windows promotes a sense of security along streets as they provide so-called “eyes on the street”. Further, units also include access to rear yards and/or balconies to allow for exterior private space per unit. Street lighting and street layout create an environment in which residents can be aware of the activities in the neighborhood.